For access to Kudaka Island, the Kudaka ferry and the high-speed passenger ferry New Kudaka III are available. Both run from Azama Port, Chinen, in Nanjo City. *One child under the age of 6 per paying adult may travel for free. *Group discounts are not available. *Vehicle fares include a fare for one person. *Advance booking for passengers is not available. 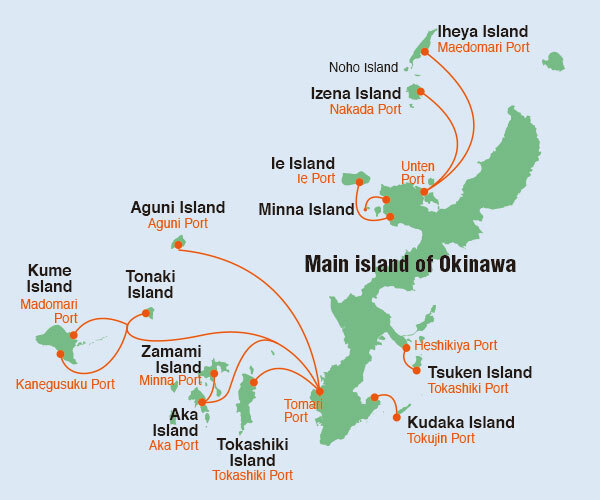 *Passengers with a round trip ticket on Ferry Kudaka may return from Kudaka Island on the New Kudaka III for an extra 90 yen.